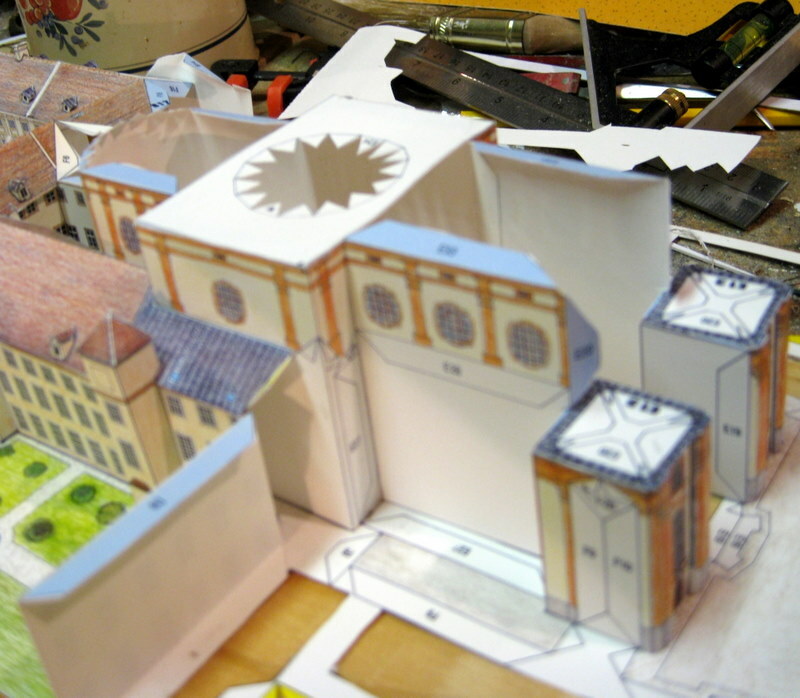 Often I am asked how I make the cathedral and other building models. 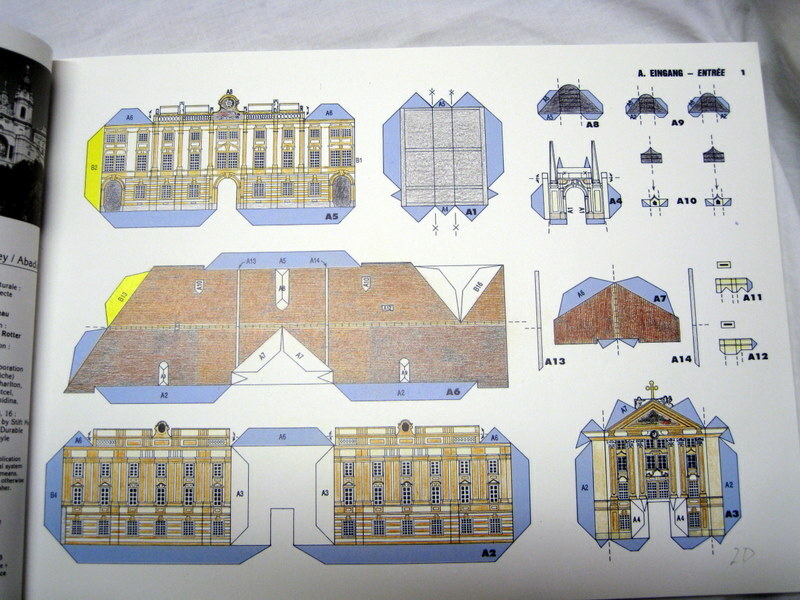 Sometimes it is hard to explain, so I decided to take photos as I built the model of Melk Abbey. Melk Abbey is located about an hour west of Vienna . We visited this beautiful building in 2011. It was fun to make the model before visiting. After spending 36 hours of 17 consecutive days making this model, I am well acquainted with all the details. 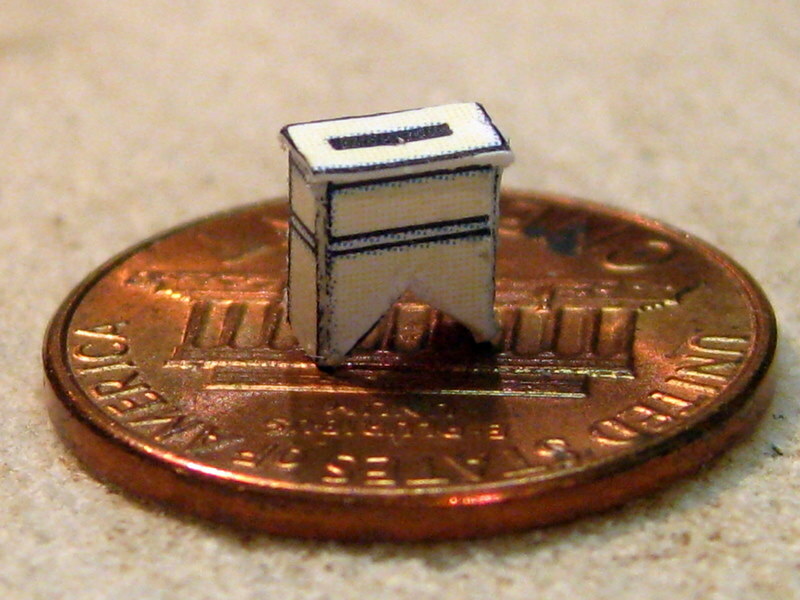 The designers of most model kits include all the details no matter how small. Melk Abbey has 315 individual parts. There are a number of companies who produce these models- see publishers and sources. There are several free download sights like Canon - http://cp.c-ij.com/en/contents/2025/list_15_1.html . They offer a number of good free models that can be easily downloaded. Most purchased models are printed on card stock, so I have a package of cardstock for printing downloaded models. BEWARE of internet companies that advertise free downloads- except the Canon site. I downloaded several models from one site but my computer and credit card were compromised. I had to stop payment and cancel my credit card. I was sent a new credit card. 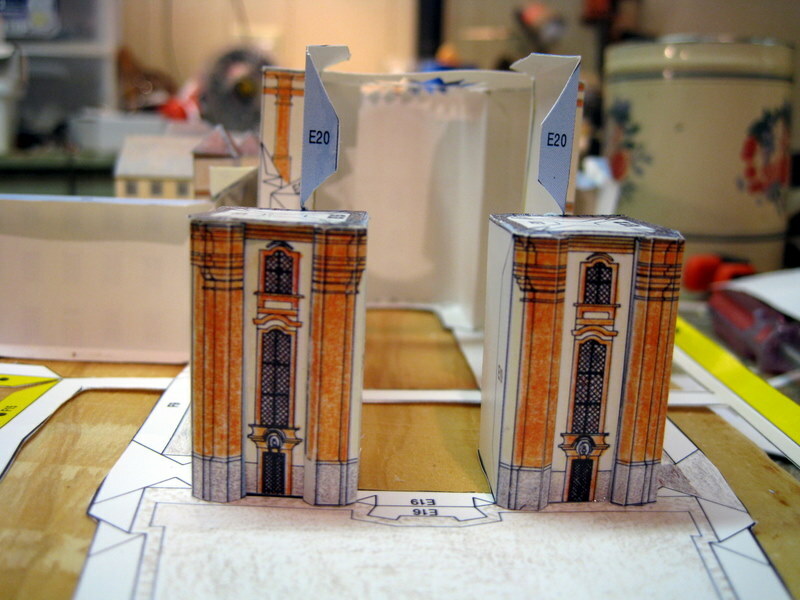 The L’Instant Durable kits are in a book while Schrieber-Bogen models are packaged in loose double sheets. 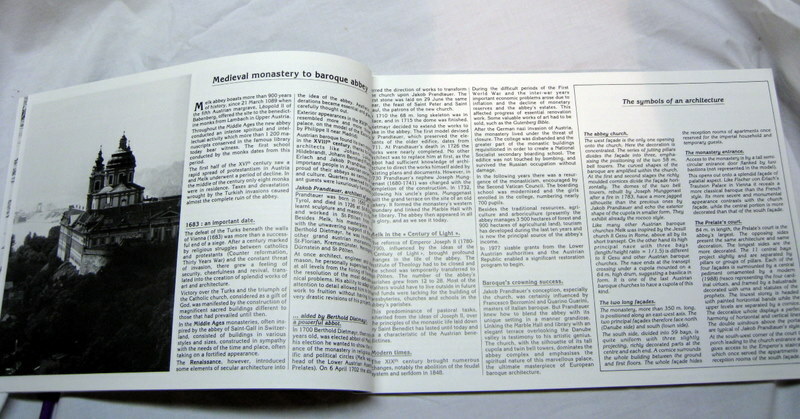 Both companies provide a history of the model as well as the instructions in several languages. There are usually a few diagrams or pictures for constructing complicated parts. 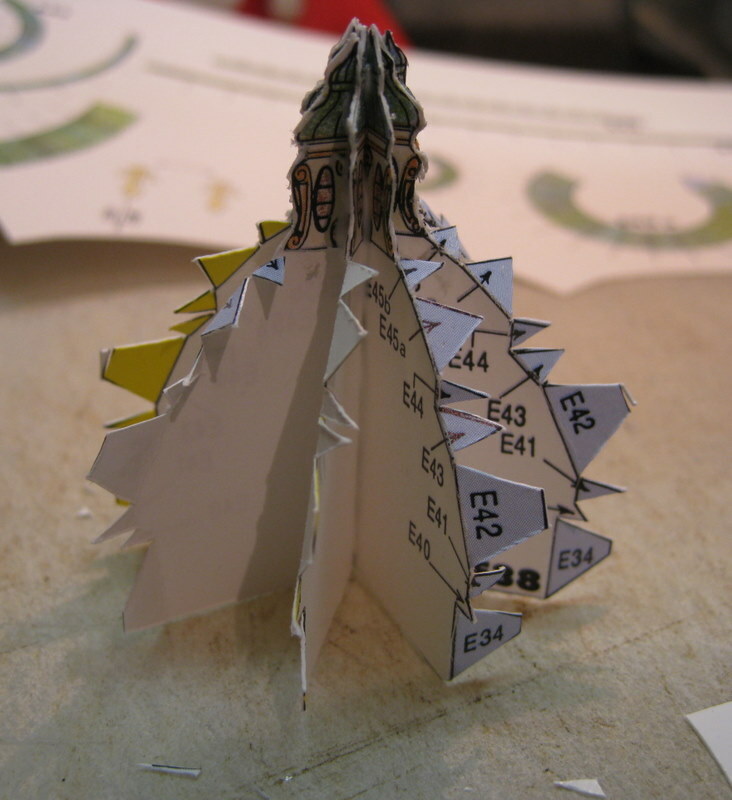 All parts are numbered and should be cut out and glued in place in sequence. Before cutting out the part, all sections that are to be folded have to be scored. To do this turn your X-Acto knife over and run the backside of the blade gently over the marks indicated,generally by “-------“ marks. 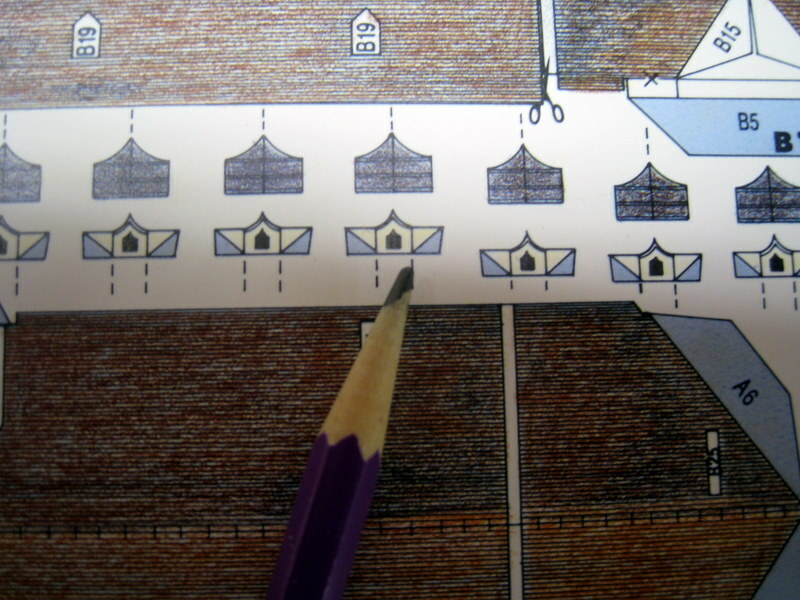 Sometimes the scoring has to be done on the reverse side so the tabs or sections can be fold inward. These are indicated by a “X” mark or yellow tabs. To do this, puncture the “X” marks with the point of the knife and then turn the page over and score, with a ruler, between the two puncture holes. After all the score marks are made, carefully cut out the part using either a sharp #11 E-Acto blade or a small pair of scissors. Even though sometimes I use the scissors, I prefer the knife. 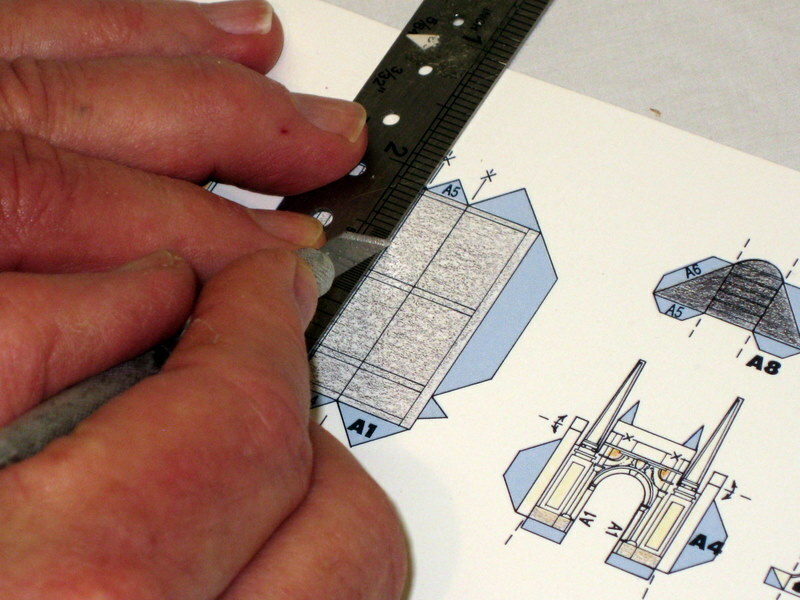 Long sections can be cut easily using a steel ruler as a guide. Part “1” is then glued to part “2” and so on. Each part is clearly numbered, usually in bold numbers. 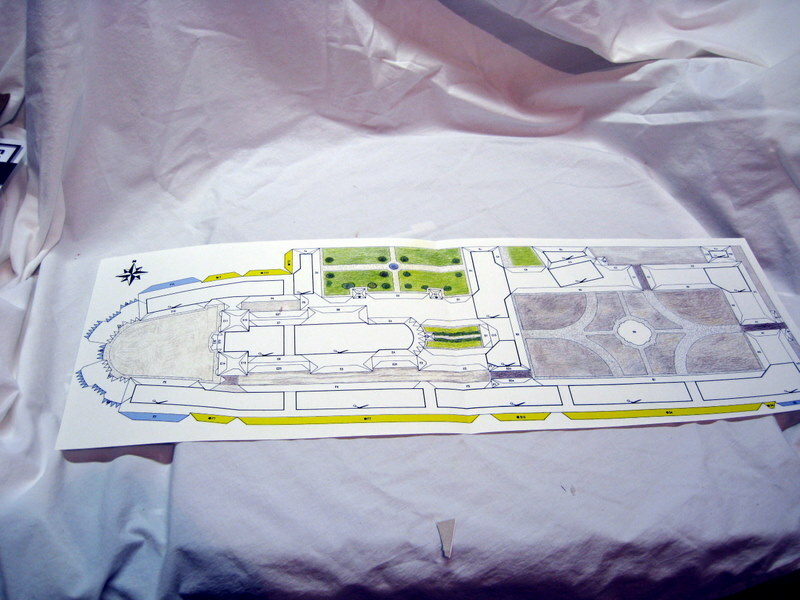 The tabs or areas to receive the next part are numbered as well. In gluing I like to use Aleene’s Tacky Glue. It is fairly quick drying but allows time for repositioning. I have a number of small spring clamps and spring tweezers that I use to hold pieces together while the glue dries. 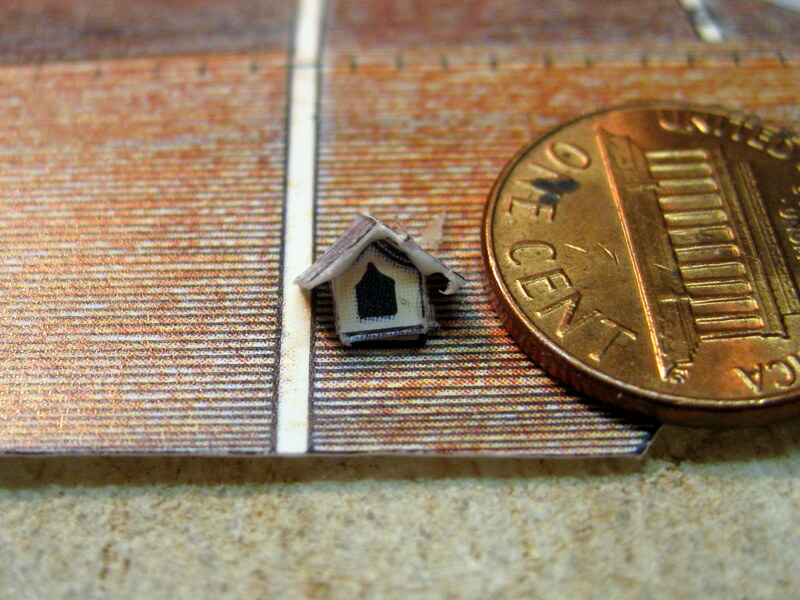 Some models have lot of very small parts like dormers and chimneys. 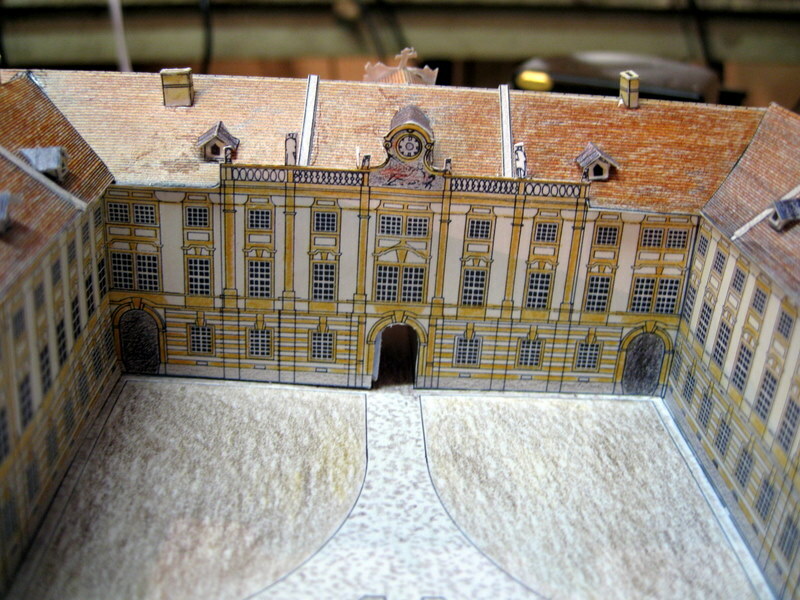 On the Melk Abbey model there are 29 small dormers and 16 small chimneys. They are generally so small that they are applied with tweezers. A funny story – Neuschwanstein castle in Germany has about the same number of dormers and chimneys as Melk Abbey. As we were approaching the castle and admiring all the details, I remarked to my wife that “those dormers were sure hard to put on, that I had to use tweezers”. Several people, who were walking near us, stopped in their tracks and looked at me as if I were crazy. 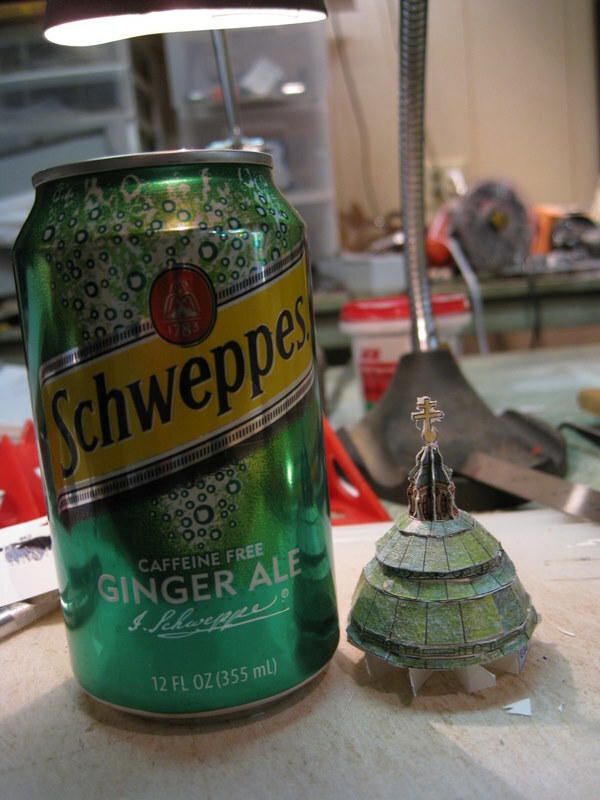 This is the size of the dormer and the chimney as compared to a penny. 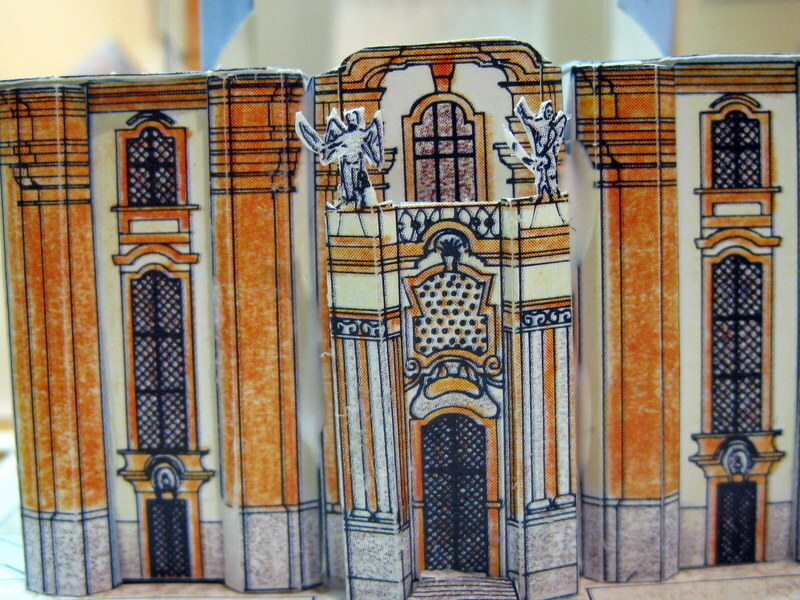 Some models such as Melk Abbey, and Berliner Dom, which I also recently made, have a number of small statues over doors and on domes. These take great care to cut out because they are so small. 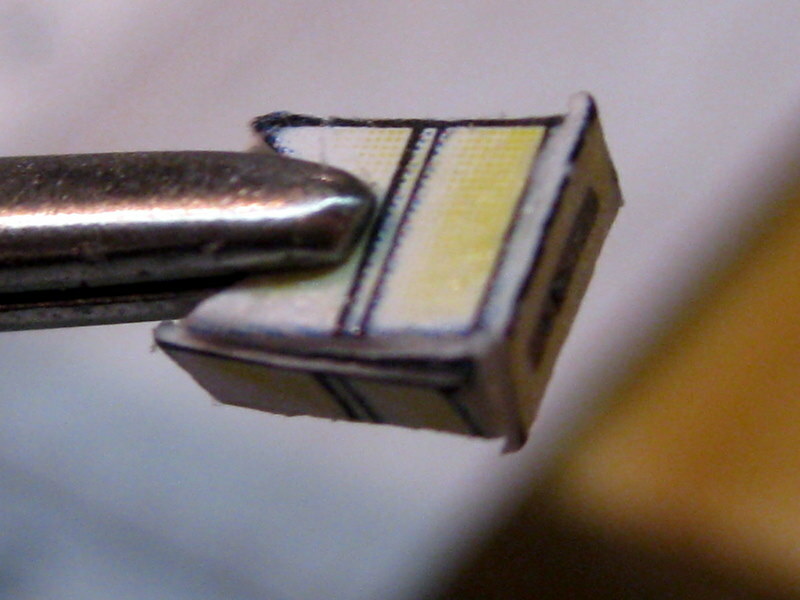 I have a lighted magnifying glass on a swivel stand that I use for this process. The dome is formed first by making a frame and then applying a number of circular rings to create the various layers of roofing on the dome. Some models have a printed base to which the walls are attached. The bases have cut out sections so you can reach underneath and inside a wall to make sure the pieces are bonded together. 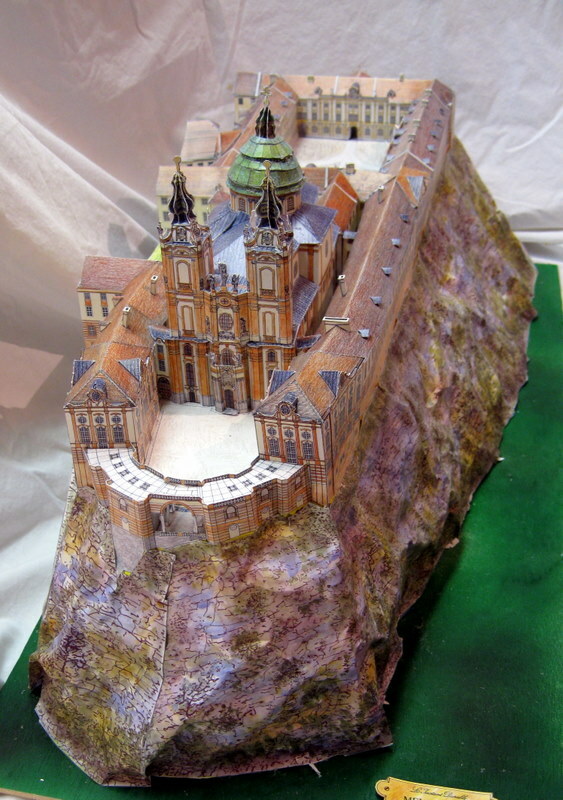 Melk Abbey has an added feature of a high rocky hill on which the abbey is placed. 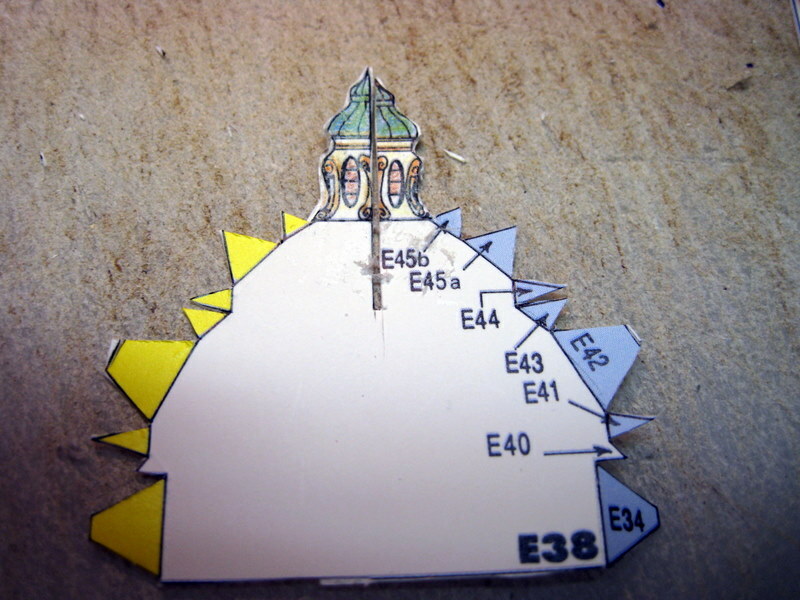 A base, from pieces of the kit, has to be constructed on which the abbey is place and then printed sheets with rock designs are glued around the base. It was suggested that these sheets be crumbled up and then opened out before gluing to give a rugged rock effect. Stability is gained by mounting the entire model on a thin piece of plywood. This is a procedure for all models. 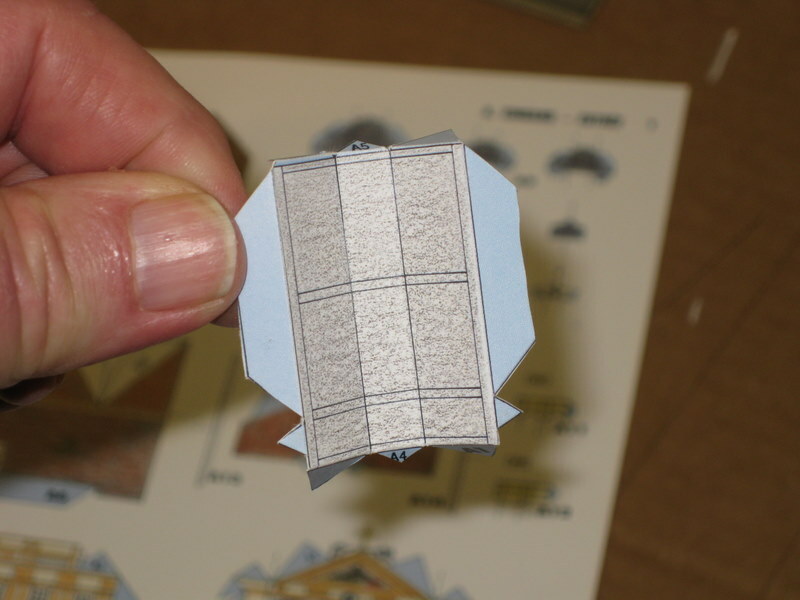 Most of the models kits state their scale size. L’Instant Durable models are generally 1:250. It is enlightening to place the famous French cathedrals side by side as I do in my classes and show the differences in construction and size using the same scale for each. The statement “once you have seen one cathedral, you have seen them all” is far from true. 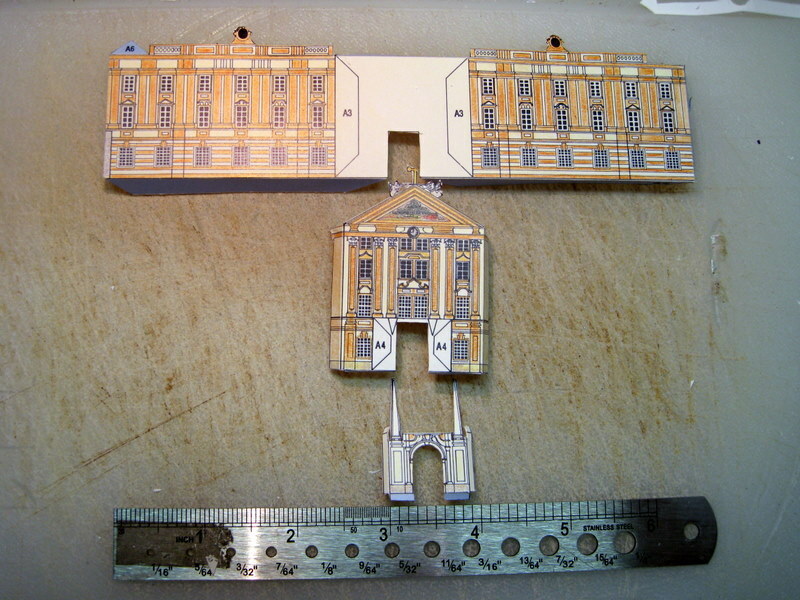 As I write this on April 10, 2011, I am beginning a model of the Reichstag in Berlin. 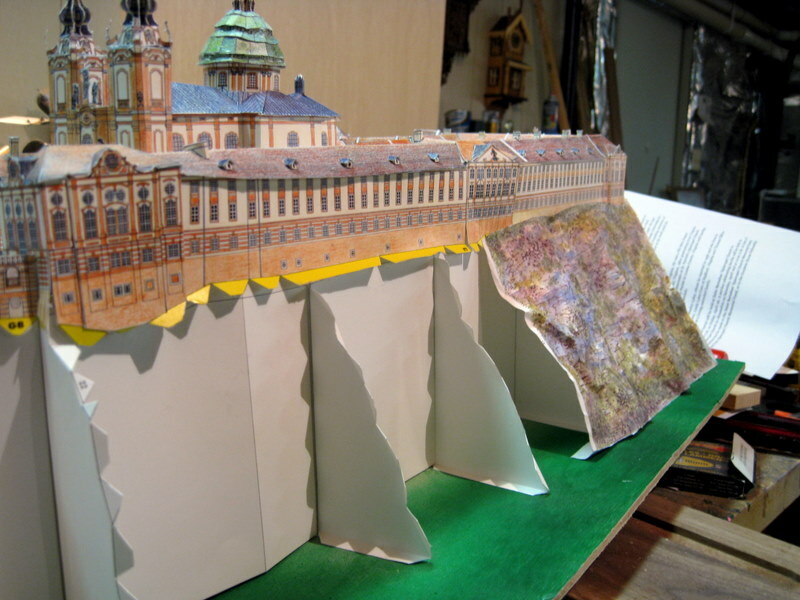 I hope to make the models of Brandenburg Gate, Frauenkirche in Dresden, the Dresden Opera House, Prague Cathedral, the Prague Clock Tower, and Schonbrunn Palace in Vienna in preparation for our next trip. 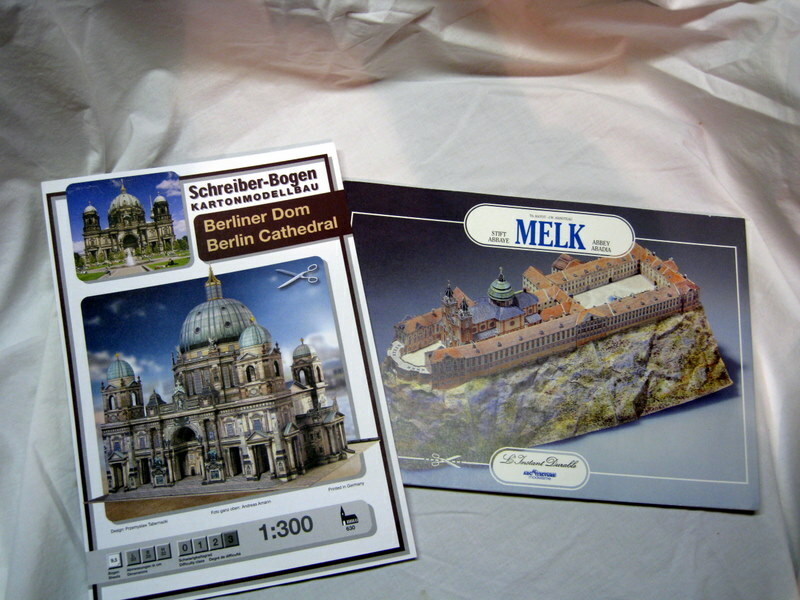 I already have made St. Stephen’s in Vienna, St. Barbara’s in Kutna Hora, and the Berliner Dom. Building these models take a lot of patience, but is great fun. An enjoyable side benefit from my web page is that I have met some wonderful people throughout the world who are also paper model enthusiasts. I would suggest that you download one of the models from Canon and try your hand at it. Please feel free to contact me at thomasclay@verizon.net for further information or questions.